Adults nationwide have wrung our hands, mourned and offered prayers and condolences as community after community has been stunned by gun violence on our streets, in public gathering places and even in our schools. Now, in the wake of the February 14 shooting deaths of 14 students and three staff members at Marjory Stoneman High School in Parkland, Florida, the children are demanding that we do more to keep them safe. Sisters of Providence, Mother Joseph Province, whose mission is to serve people who are poor and vulnerable, hear their cry, are listening, and stand with them. 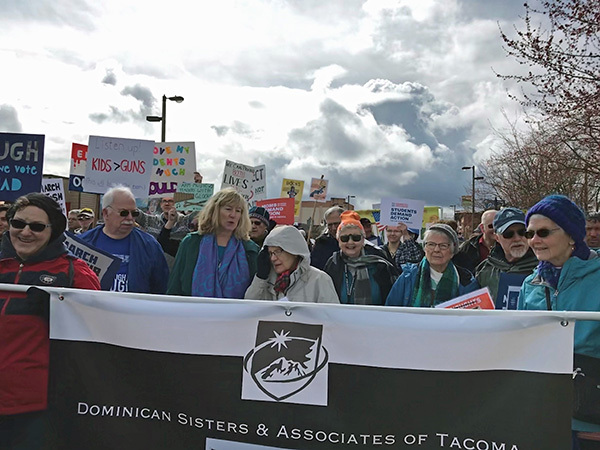 Sisters of Saint Dominic of Tacoma, whose mission is social justice and care of creation, are doing the same. 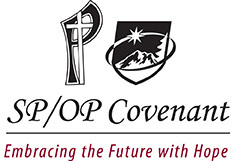 We are members of the Leadership Conference of Women Religious (LCWR), which has noted that this is a critical issue not just in Parkland, but in Orlando, Las Vegas, San Bernardino, Charleston, Newtown, Columbine, Sutherland Springs and countless other cities and towns across the nation. The proliferation of guns and the pervasive culture of violence must finally be addressed by our elected officials. Guns are linked to roughly 33,000 deaths in the United States per year, according to the Centers for Disease Control and Prevention; about two-thirds of them are suicides.